If you're coming to PAX Prime this weekend, Microsoft's going to have Sonic CD on display for you to check out. Sega's recent Sonic the Hedgehog games for consoles have been ... let's just say "less than great" and leave it at that. That said, the publisher's DLC Sonic titles like Sonic 4 have been pretty delightful. 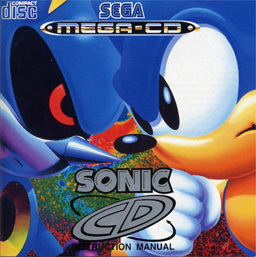 Now, it turns out that Sega is bringing yet another beloved Sonic game to Xbox Live: Sonic CD. Mass Effect 3 has landed... in the Xbox 360 booth! Come on by to check it out, along with a slew of Xbox LIVE Arcade titles: Trials Evolution, Skulls of the Shogun, Crimson Alliance, Splatters, Orcs Must Die, Ms. Splosion Man, Retro City Rampage, Sonic CD, War of the Worlds and Trine 2. Nelson didn't really offer any further details about the game. Seeking further information, though, Eurogamer contacted Sega about Sonic CD's upcoming release. Sega only responded with "We don't have any details at this time, but we'll be sharing some more information soon."